One of the most laughable parts of being a Celiac is being asked what you actually can eat,and then having them be genuinely concerned that you have it hard. Little do they know I eat like a king. I didn’t realize it until I started the diet/lifestyle, but our nation is consumed in grains. We live and die by our breads, pastas, and pizza, especially pizza. The number of “pizza is life” references made on the daily is unheard of. As soon as I tell people, they get this look in their eyes, as if I have just told them my dog died or something. How do you do it? They ask every single time. I know I could never do it…It must be SOOOOOOOO hard for you. Well let me tell you, it’s a lot easier than it sounds. 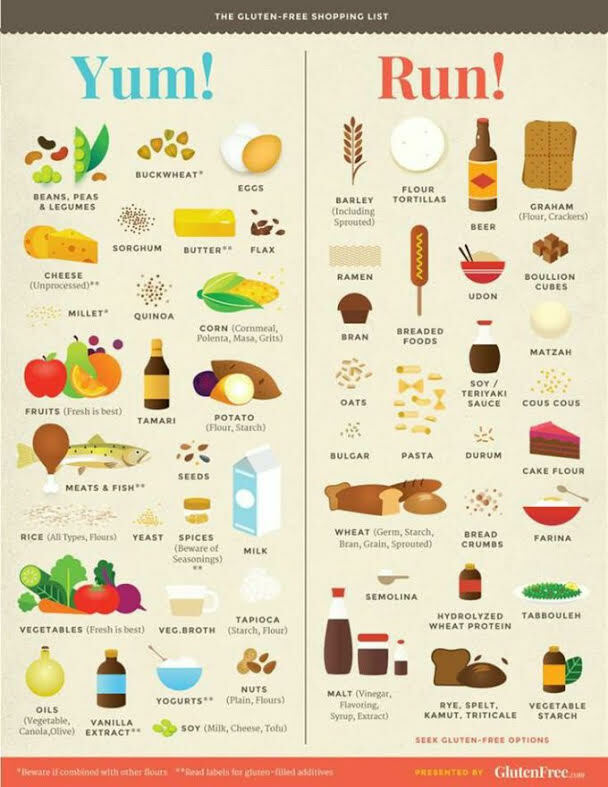 In my opinion, I have it pretty easy, especially compared to those who have different food allergies and autoimmune disorders. As a celiac, I can eat all fruits, veggies, meat, seafood, nuts, seeds, a handful of grains, rice, soy, and legumes. I am lactose-intolerant though, thanks to Celiac Disease, but I don’t consider it a huge loss. I cut dairy out of my life completely and am doing just fine. So I’m sure all of you still awestruck by the fact I don’t eat normal people food wonder what a day in the life of a Celiac looks like. It’s, yes, “really healthy”, as many of you would describe, and in all honesty, a little more pricey. But, let’s be real. Produce ain’t cheap. Unless of course you are a smart, savvy shopper like me. Let’s just say, I’m eternally grateful for Aldi and extreme couponing. Eggs– hardboiled, scrambled, omelets loaded with veggies, fried, or any other way you can make them – I’ll be eating them. Smoothies – The perfect go-to when I’m on the go. I load them with fresh fruit, veggies (yes vegetables – it’s a thing I promise), nuts, and flax or chia seeds for extra protein. Salads– Ask anyone, and they’ll tell you I’m the queen of salad. (I owe it all to my Mother. She’s the real MVP.) I usually get pretty crafty with these bad boys. I always add some kind of meat or fish, nuts, dried fruit, extra veggies, and top it off with red wine or balsamic vinegar. Meat and Veggies– I’m a carnivore. Chicken, Tilapia, Salmon, Turkey, Flank Steak, Tenderloin – I eat it all. I keep it simple and cook it on the stove top or bake it in the oven with minimal seasonings and pair it with lots of veggies. My favorites are steamed carrots, broccoli, zucchini, squash, green beans, asparagus, and brussel sprouts. Zoodles – AKA zucchini noodles are a dream come true. I pair them with crushed tomatoes and ground turkey, whip them up with pesto, chicken, and veggies, and I’ve even made them with shrimp and veggies paired with some lemon juice for a shrimp scampi concoction. Bless Paderno for making the greatest Spiralizer. Potatoes, Squash and Cauliflower Rice– Whether I eat them alone or pair them with meat, they definitely help fuel me throughout the day. I live for sweet potatoes, because they go with just about anything, but I don’t discriminate. Real talk I eat the rainbow when it comes to potatoes. That and every type of squash under the sun. Also let’s talk about cauliflower rice. My blackened fish bowl is to die for. I rarely process the cauliflower myself these days because it can be a real mess and so many stores like Aldi and Trader Joes have already done the work for you, and it’s not that much more expensive than a head of it that’s fresh. Score! Quinoa, Brown Rice, and Beans: Though I don’t eat them as frequently, they each remain a crucial part of my diet. As a celiac, ensuring you have an adequate amount of fiber in your diet is vital to staying regular. Whether I mix them together as a meal or pair it as a side to meat and veggies, I do my best to incorporate them in to the whole mix. Aside from these, I’m always snacking on fruit, veggies, nuts, jerky, and GF granola bars. And yes, I am human, so not often, but every now and then do munch on GF pretzels, crackers, and chips. That and rice cakes and almond butter (so i’m not always a complete health freak).